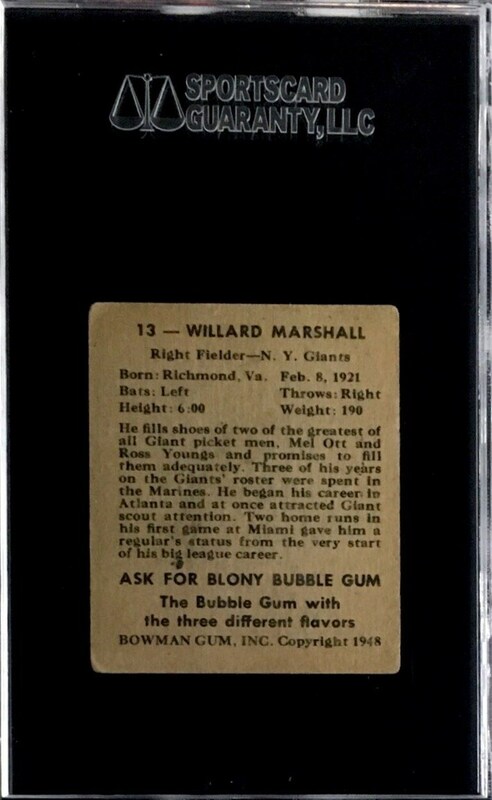 Up for your consideration is a 1948 Bowman #13 Willard Marshall Rookie card. In an 11-season career, Marshall posted a .274 batting average with 130 home runs and 604 RBI in 1246 games played. 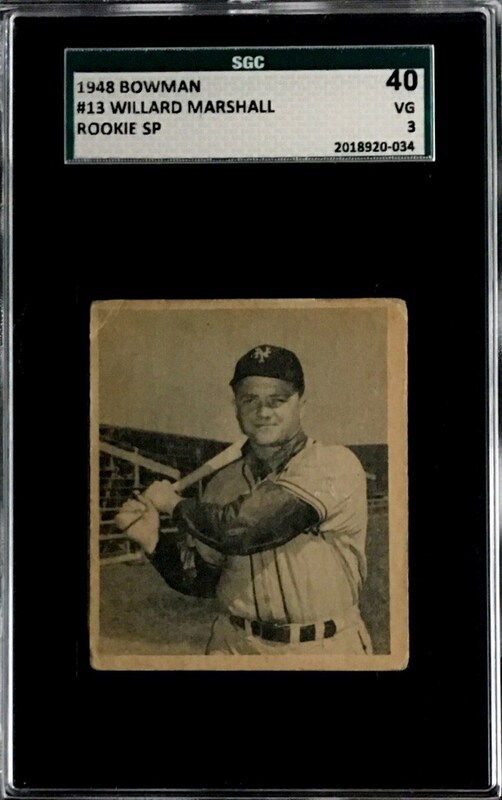 For sale here is Willard's Short Printed Rookie graded an SGC 40.